The official paranormal team of Preston Castle, Castle Spirits, would like to invite you to our fifth annual benefit Paracon! This year is also the 125th anniversary of Preston Castle! Join us for our Meet and Greet Friday June 14th and then Saturday June 15th, for our speakers, vendors and investigations. Friday night we will have our meet and greet for those who purchase the "Full Possession" tickets. Join our meet and greet to hang out with our amazing speakers and television personalities. On Saturday we will have awesome para-themed vendors, psychic readers, fantastic presentations, speakers and more. When the sun goes down, the spirits come out to play if you choose to participate in our paranormal investigation at Preston Castle. Please pick the ticket package that is best for you. All proceeds from the Paracon will benefit the restoration of Preston Castle. Thank you for your support and we look forward to seeing you at the Castle. Tickets are starting to sell out!! Don't wait too long and miss out. Several groups are almost completely filled and tickets will not be sold at the event. They are only available online. President/Founder A.P.R.A. Brandon has built a highly respected team that uses a scientific approach to paranormal investigations. His determination to find "cold hard facts, to prove or disprove" makes A.P.R.A. what it is today. Rev. Fr. David Deerfeeder is an ordained Old Catholic priest, pastor, multi-sensate medium, paranormal investigator, story-teller, author, and award-winning singer-songwriter, among other things. 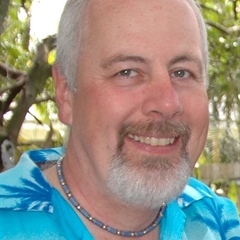 He employs a number of modalities including psychometry, and believes both the living and the dead should always be treated with compassion and respect.He is a speaker and investigation leader who is always willing to share his methodology and encourage others to develop their own deep-sensory gifts. Jay Verburg began his unexpected paranormal journey as one of the two Greenhorn miners on SyFy's Ghost Mine. With a passion for the Old West, he has been casually exploring ghost towns and abandoned locations, striving to discover historically rich areas for the past 15 years. Fascination with history and the gold that still runs through the mountains of Eastern Oregon unexpectedly landed him in the small town of Sumpter. It was there he found himself not only working as a hard rock miner, but witnessing events that led him to an entirely new journey — paranormal research. Research of history and the paranormal have led Jay to some of the greatest location throughout Oregon, Washington, Idaho, California, Utah, and Colorado. Jay currently travels the U.S., speaking on paranormal research, and revealing how history can lead to the discovery of many rumored haunts. 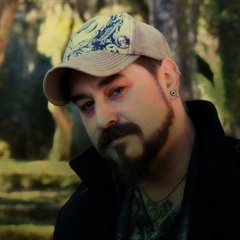 Jay works closely with like-minded individuals and investigative groups such as A.S.E.P., the Paranormal Studies Institute, Paranormal Research & Investigations of Washington, and Oregon Paranormal. 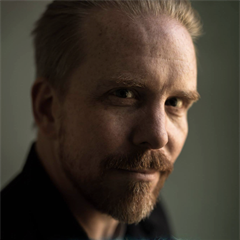 As Director of Historical Research for Oregon Paranormal, Jay focuses on studying energy and the pursuit of awareness surrounding the existence of intelligence beyond death. As a featured investigator on the internet network Dark Zone, Jay often reveals behind the scenes videos while working on his latest joint project, The Permanents – A documentary focusing on the paranormal “permanent residents” of the Old Wheeler Hotel on the Oregon Coast. Harvey has been involved with the paranormal, both directly and indirectly, for all of his life. He started investigating when he was 16ish with an old Kodak 110 camera and a Cassio tape recorder. Harvey says "Obviously, I had no idea then what I was doing, but was able to capture some truly amazing and eerie evidence". Being a sensitive and intuitive have come in rather handy while pursuing spirits. Individuals and groups from around the world request his assistance in helping them with his ability of Remote Viewing to understand what they are dealing with. Nicole Strickland is the founder and director of the well-respected San Diego Paranormal Research Society and co-host of the "Spirits of the Adobe tours at the Rancho Buena Vista Adobe. She serves as a consultant to various other teams. Nicole is the published author of several books and writes for FATE Magazine, Let's Talk Magazine and Paranormal Underground Magazine. Having a passion for public speaking, she has presented at numerous paranormal-themed conferences, events and libraries in addition to being a guest on several internet and terrestrial radio shows. Nicole has also appeared in television and film, such as "My Ghost Story-Caught on Camera," "Travel Channel's Ghost Stories," "San Diego's Channel 6 and 8 Morning News Programs, "Southern California Paranormal Investigators," "All Around Us" among others. 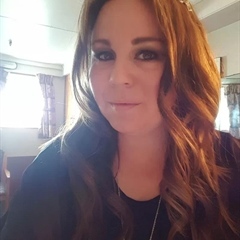 Having an innate passion for history and the supernatural, Nicole is an advocate for spiritual energies, the clients she serves and the paranormal field at large. Ross is the Founder and President of A.G.H.O.S.T. (Advanced Ghost Hunters of Seattle-Tacoma) and now runs AGHOST Investigations. With close to 30 years of investigating the paranormal and over 15 years running a ghost hunting group. Ross travels internationally to investigate paranormal activity, collect ghost stories, research cemeteries and teach others about the strange things going on all around us. 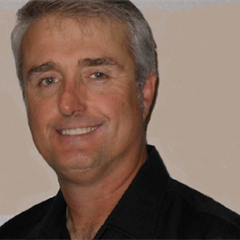 Patrick Doyle’s experience with the paranormal began with a ghostly encounter as a 7-year-old kid, and his fascination with the supernatural has never ceased. While building his name as a paranormal investigator, Patrick and his frequent collaborator Kristen Luman were selected by an Oregon based mine owner to investigate The Crescent Mine, one of the most haunted locations in the Pacific Northwest. Their research was documented for the hit SyFy Channel series, Ghost Mine, which lasted for two seasons. For most of his life Patrick has been an avid outdoorsman and has developed a reputation for investigating paranormal activity in some of the country’s most remote and dangerous locations, venturing where other ghost hunters fear to tread. Since Ghost Mine ended, Patrick appeared as one of the hosts of Reelz Channel’s Behind The Screams, and is also an accomplished author and illustrator. Some of his work includes the critically acclaimed Y.A. series Edgar Font’s Hunt For A House To Haunt, the sci-fi adventure Next Rest Stop: Earth, the graphic novel The Ghost of Zombie, the children’s storybook The Lair of Forgotten Bears, and the best selling memoir Ghosts From The Ground Up.